10 Small But Important Things To Observe In Pitru Paksha 2018. As per the Hindu Mythology and Scriptures, it is mandatory to perform Shraddha Kriya to the departed souls by their mandates. This Shraddh Kriya is absolutely necessary for every human beings, not only for Hindu religion but also for every soul who departed from this planet earth. Our loved and dear one and ancestors who have left the human body and departed in the normal form of death, they get entered into intermediary plane known as Pitru Loka. They are being left in a world of departed souls for a temporary existence and as per their karmas done in past on earth. Further with respect to their karmas and actions, they are further moved to the next world/lokas in their journey of life. 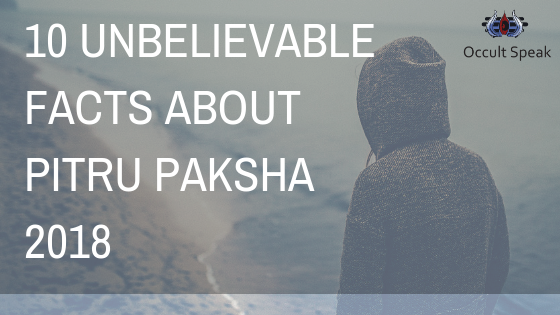 Why there is need of Pitru Paksha Shraddh? It is said and believes that by performing Shraddh the Pitru ( our departed souls ) get the sense of fulfilment and they bless their children, also they get momentum to ascend to next ladder/higher planes. As per Hindu scripts, our human body and these Universe is made up of 5 elements, viz Agni ( Fire), Prithvi ( Earth), Vayu ( Air), Jal ( water ) and Aakash ( Space ). The most important is Prana which is Aakash Tatva also known as a Vital force Or Universal Energy/Chi in Chinese. Hence after the death of the human, it has to be cremated in Fire whereby all the 5 elements get dissolved in their respective elements and after the cleansing of the karmas – the departed soul reincarnate in human form or ascend to the higher plane as per his/her wish and karmas. READ : How Shoe can affect your Career ? Does Pitrus also get trap in karma after living soul? Yes, although s/he has left the physical body their inner desire, frustration, feelings get passes on in their astral body through which they travel to the next world. It is due to that unfulfilled desire their inner soul get restless and look forward from their children on earth to perform the Shraddh Kriya.Hence it is believed that after the ceremony the Soul get satisfied and his/her wishes get fulfilled due to which the get relieved from the trap of karmas and its binding action, henceforth s/he get the pathway to move to higher altitude /plane. Shraddh Paksha comes every year as per Hindu Calender –Aswin month –Krishna Paksha Pratipada ( New Moon ) to Amavasya. It is for 16 days. Do we need to perform Shraadh Ceremony in Pitru Paksha every year? We owe our existence to our ancestors. It is due to their karmas and desires our existence persist on earth. Hence it bounden duty of every son that he has to perform Shraddh every year. Many people offer Food to Dogs, Cow and Crow during pitru paksha, are these enough to complete the ceremony? No, by just offering the food to birds and animals, you cannot say that you have performed a ceremony. These acts ( of offering food to animals and birds )are necessary and it is considered a form of Charity wherein the giver get the sense of satisfaction and his/her internal soul and mind get clean. What are these offering to ancestors known as? These offerings are called as Pinda which is made from rice and various other food. Hence it is also known as Pinda Daan which is to offer during Pitru Paksha. Can you give any reference of any script of ancient times which prove that Shraadh Kriya/Pitru Paksha does exist or has been in practice? 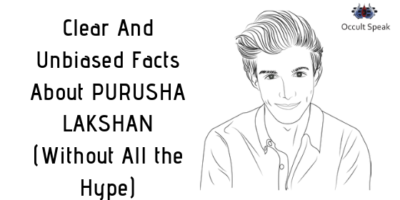 It is clearly mentioned in the text – Mahabharata wherein son is said to be the saviour of their forefather by saving them from the HELL known as PUTA. This word puta get later derived as Putra hence it is said to perform by Son. Even in Ramayan era, it is mentioned that during the Pitru Paksha, when Shri Rama was performing the ceremony in jungles, Sita ( her wife ) suddenly ran away from the spot of ceremony and entered in her Kutir ( house ). When Lord Rama asked the reason for such weird behaviour, she reply, I saw my father-in-law ( Shri Dasharatha) coming from the sky and sat down on the asana and ate the pindas offered by you. I felt shy as my father-in-law comes of all sudden hence I ran away. In ancient times, daughter-in-law always keeps the respect to their father-in-law and elderly people by covering her head with saree. It is the sad state of mind today, all girls and ladies make fun of the rituals and ceremonies and customs of our religion. Even – Taittriya Upanishad says: Never ever abandoned or run away from your duties towards the God, Demigods, Rishis and Ancestors. How to perform these ceremonies? Better consult to traditional Brahmin who knew the exact methodology and rituals of the Shraddh Kriya. Since I do not know, these ceremonies or such Brahmin/Priest can I perform any such rituals at home? In case you don’t find any Suddha Brahmin/ priest, you can perform below said ritual and chanting of mantras at your house. 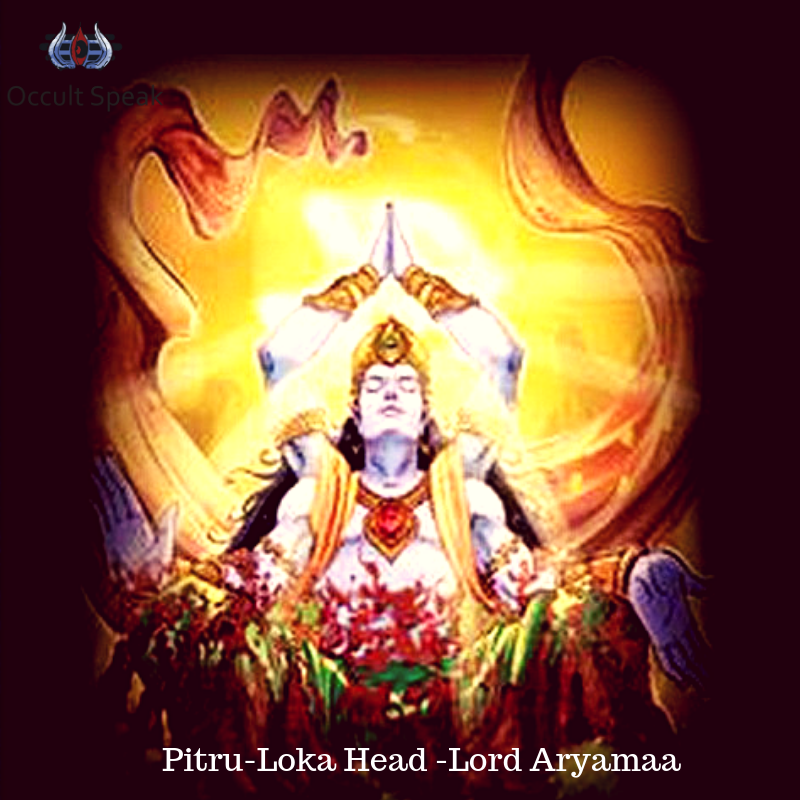 OM Kleem Aryamaa Pitaraaya Kleem Namah. One can chant above-mentioned Mantras on either daily basis OR once a year during Shraddh Paksha. One should chant at least 1008 times daily during this 16 days of Shraddh. Please offer milk and water to your Pitrus (ancestors) during pitru paksha. One can read Bhagwad Geeta, Guru Geeta, Durga Sapta Shati, Shrimad Bhagwat, etc. and Chant Guru Mantra, to give more & more energy to your Pitrus. It is also recommended by few scholars that one should take Copper vessel filled up with black til, Jau and Water and offer this water to Banyan Tree during Pitru Paksha. One may chant above-mentioned mantras when offering the water to the tree. During these days, it is recommended to offer food/fruits or any beverages to a visitor coming home. Who is Aryamaa ( as mentioned in Mantra)? In the above Mantra “Aryamaa” is the head of the Pitrus (ancestors) – please refer to Bhagwad Geeta in its Vibhuti Yog, Chapter 10, Sloka 29: Krishna tells Arjuna that I am the Aryamaa among the Ancestors. Let me know how you find this Blog?